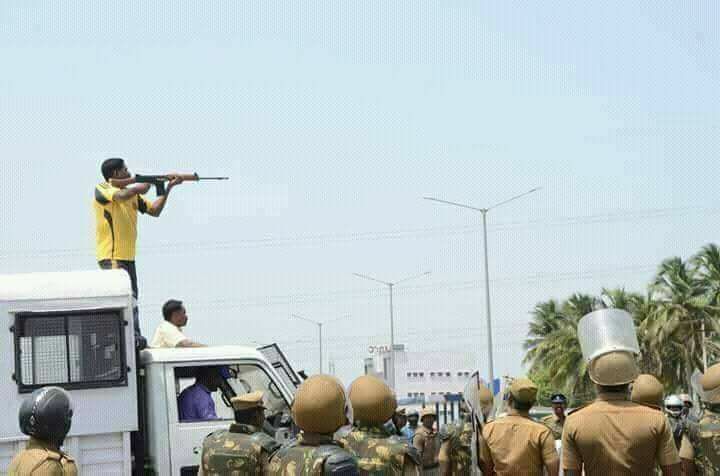 The mystery of the police firing in Tuticorin (Thoothukudi) has deepened with the emergence of a video in which snipers are seen shooting from atop a vehiccle at the crowd. 12 protesters died in the shooting on Tuesday ,May 22, 2018. They were on a protest march demanding the closure of Sterlite Copper, a Vedanta group copper smelter unit in south Tamil Nadu. Tuesday marked the 100th day of the latest round of protests against the company, which has been accused of being responsible for air and water pollution leading to health hazards. The rally, in which thousands of local people participated under the banner of ‘Anti Sterlite Movement’, turned violent in the morning with sections of protesters setting fire to vehicles, including those belonging to the police. Violence broke out when a large number of protesters, who took out a rally from various places in Thoothukudi, moved up to the four-road intersection close to the traffic signal on Palayamkottai Road. Since prohibitory orders were in force they were denied permission by police personnel to proceed further. The protesters then started hurling stones and footwear at policemen, who carried shields with protective outfit. All attempts to stop the protesters failed and they marched ahead after breaking the barricades and toppling a striking force vehicle near the traffic signal. The police made yet another attempt near the Third Mile bridge on the Palayamkottai Road to control the protest. Tear gas was used to quell the rioting mob, which continued to regroup. An explosive substance was thrown at the police. Meanwhile, a few photo journalists were manhandled by some protesters. The Hindu’s Rajesh was assaulted and the memory card removed from his camera. The violence snowballed when the protesters entered the Collectorate after clearing barricades and pelted stones causing damage to window panes of office buildings. They torched many vehicles parked on the Collectorate premises and other places. The scene resembled a war zone in hours as about 50 two-wheelers, six government vehicles and two cars were damaged or torched by the protesters inside the Collectorate. If the intention of the police was crowd control they could have fired rubber bullets at the agitators. Instead police used live bullets. Even such a scenario they should have shot below the knee. The pictures of the dead protesters suggest that all of them received injuries above waist, either in chest or neck. This suggests that the police shot with an aim to kill the protesters. Then comes the mystery snipers. In a video released by news agency ANI, a man wearing a yellow T-Shirt is seen taking aim and shooting from atop a parked police vehicle. The man is using an assault rifle. The vehicle is surrounded by police men in uniform. Then another man in black clothes climbs up the vehicle and takes his turn in shooting. A few seconds into the video a voice is heard in the background making a shocking statement: “At least one should die”. This makes it clear that what happened in Tuticorin was not mere crowd control effort. This was a state sponsored massacre. The tremor in his voice is evident as Godwin Jose begins to recount the horror of police firing in the protest rally against Sterlite on May 22. 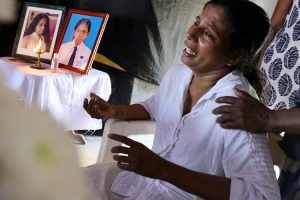 The 23-year-old from Sorispuram in Thoothukudi was among the tens of thousands of people who had gathered to take out the rally which ended with bloody violence leaving at 11 dead and several injured. “The police opened fire when we tried to enter the Collectorate. So, we stepped away and sat somewhere outside. That was when there was a lathicharge too. Fearing lathicharge, we entered the Collectorate again, and there was shooting again,” Godwin says. Godwin has no shred of doubt that the firing was pre-planned. “It looked as if the police were singling out those who were vocal, those who led the protests, and shot them above the abdomen,” he says. “There was of course indiscriminate shooting, too, and many of us were hurt in the legs. But there were several rounds of fire, and we could see they were picking the targets at times. Thamizharasan, for example, was very active in the protest for quite some time. He has been shot dead. When you target the organisers and kill them, it is evident you want to kill the protest,” Godwin says. Who were these snipers? Were they really police men or hired assassins of Vedanta? The mystery snipers have to be brought to light. 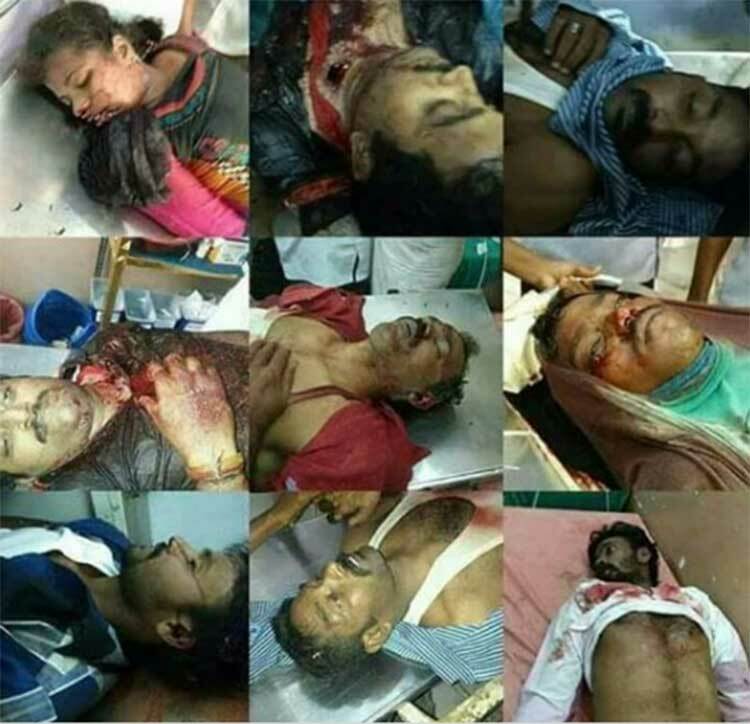 Until then real truth of the the massacre in Tuticorin will not come out. Can we allow such assassins to be used against agitators in a democratic country?